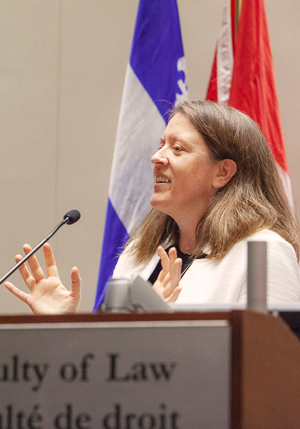 The Faculty of Law is delighted to announce that Professor Allison Christians will receive the Principal’s Prize in Teaching Excellence during the Fall Convocation on November 26. Allison Christians is Associate Dean (Research) and the H. Heward Stikeman Chair in the Law of Taxation. Her research and teaching focus on national and international tax law and policy issues, with an emphasis on the relationship between taxation and economic development, and on the role of government and non-government institutions and actors in the creation of tax policy norms. Established in 2000, the Principal’s Prize recognizes excellence in teaching and its importance to the academic experience of students at McGill University. It is presented annually to one recipient in each of four categories: Faculty Lecturer, Assistant Professor, Associate Professor and Full Professor. Please join us in congratulating Professor Christians on this well-deserved recognition!